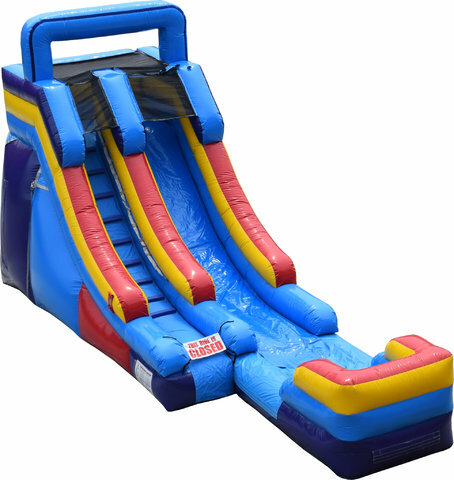 Check out the Single Lane Water Slide, our signature inflatable slide! This summer classic stands over 15’ and features a bold red/blue/yellow color scheme. Partygoers climb to the top via the stairs on the side, then quickly slide their way down and splash into the inflatable pool at the bottom. People of all ages love water slides, and with Waco Bounce House Rentals, you can deliver the thrills and excitement that a water slide brings to your next party or event. One other note: the Single Lane Water Slide is versatile and can be used without water as well. Make your reservation today!